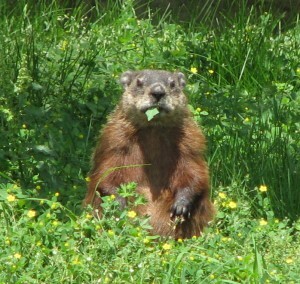 Yep, woodchucks (AKA groundhogs) are pretty darn cute when not dining in your garden or flower beds. You may or may not agree that woodchucks are pretty darn cute as portrayed in storybooks, or in field guides, or even when seen in the fields and greenways alongside roadways… maybe even in a back corner of your yard. But you may not hold the same opinion when they are in your garden… at least, not if they come there with a hearty appetite and not if they dig burrows next to your home. The woodchuck, whose daily activities may be the source of some distress, has two things in mind —food and shelter—and she surely mean you and your pets no harm. All the same, if you want to get rid of woodchucks living—or dining—on your property, here you’ll find some practical advice for how best to do that. First, it’s helpful to remember that woodchucks one of the few mammals that are true hibernators and are generally not active between November and February in all but the southern reaches of their range. During the months they are hibernating is not the time to work on evicting and excluding them. You’ll need to do this when you can see evidence of their comings and goings. Another sensitive time to avoid is between late winter and early summer, when woodchuck moms are caring for dependent young (cubs) inside the burrows and any effort to get them to give up their den will be a waste of time since they will do just about anything to get back to their young. For most of the U.S., the best and most effective time to harass and evict woodchucks is from early July through late September, following up with steps to exclude them from re-opening the burrow and nipping in the bud any attempts to start a new one. Once woodchuck cubs are able to follow their mother out of the den, it is safe to begin harassment techniques. Groundhogs in urban areas will often select dens entrances that are screened by vegetation. Locate all of the entry holes and clear away the plant material growing near the burrow entrances so that they are exposed this will make them feel less secure when emerging from their den helping to encourage them to find a less exposed location. After you have located all of the den entrances and cleared them of vegetation or objects screening them, it’s time to add another element that will take advantage of their poor eyesight and skittish nature. Place reflective tape or even a Mylar party balloon to move in the wind near the entrance and add to the disruptive effect. Place something with an offensive smell inside the opening of the burrow—rags soaked in apple cider vinegar, perhaps, or—if available—the urine soaked kitty litter. Capsicum or hot pepper based repellents can also be effective when used in combination with the other techniques mentioned here. Loosely fill the burrow entrance with soil utilizing the repellent materials listed above. Groundhogs presented with the task of having to continually re-dig their burrow will eventually give up and move on. This will also enable you to know when the woodchuck has left the burrow. Replace the materials in the den entrance/s each day until they are not cleared away for three or more good-weather days. At this point, it will be safe to assume she is not in there, so you can go ahead and take steps to seal the entryway permanently. Again, keep timing in mind, so as not to trap a hibernating woodchuck, nor separate a mother from her dependent young and follow the steps above to ensure that you have successfully harassed the woodchuck into leaving before you attempt to permanently seal a burrow. Acquire some wire fencing in that is 16 gauge or heavier choose one with openings no larger than 2 X 3 inches. Use wire cutters to make three-foot squares of this fencing material, one for each burrow entrance. Dig down a few inches around the entrance and Center the square of fencing material over the hole, pin it with landscape stakes or staples. Build the dirt back up to the level of the ground around it. Use heavy-gauge wire fencing like green garden fencing with openings no larger than 2 X 3 inches. Choose fencing material that is wide enough to reach 3 feet above and 1 foot along the ground like fencing that comes in 48 inch wide rolls. Install the fencing material in the shape of an “L” (folding a 4 foot width so that 3 feet makes the top of the “L” and 1 foot the base) using garden stakes. Click here to see a diagram. Partially bury the base and or fasten with landscape staples with the L facing away from the garden to discourage woodchucks from digging under the fence. Install the fencing material with about 12-18” loose at the top, making a wobbly top edge that will prevent woodchucks from getting over the fence. 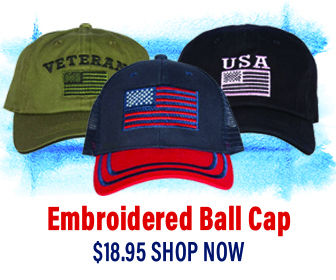 As an alternative to the wobbly top, you can bend the same amount of material outward at a 45-degree angle to create a barrier. Another simple means of diminishing the appeal of your yard to woodchucks is to clear undergrowth from around your home and their burrow system, and keep grass trimmed low. With less cover, they will feel unsafe, and will likely seek a burrow site with more vegetation around it. 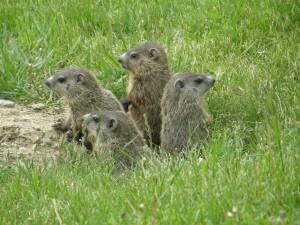 Hey Buddy!, I found this information for you: "Looking to Get Rid of Woodchucks?". Here is the website link: https://effectivewildlifesolutions.com/get-rid-of-woodchucks/. Thank you.